The UFC organization follows a rich history and tradition of competitive MMA dating back to the Olympic Games in Athens. About 80 years ago, a Brazilian form of MMA known as Vale Tudo (anything goes) sparked local interest in the sport. Today, the UFC has evolved into an organization where hybrid athletes are required to know various disciplines in order to compete at an elite level in a regulated environment where safety is paramount. UFC athletes are skilled in many forms of martial arts, including karate, jiu-jitsu, boxing, kickboxing, grappling, wrestling, sumo and other combat sports. Owned and operated by Zuffa, LLC, headquartered in Las Vegas and with offices in London, Toronto and Singapore, UFC produces more than 40 live events annually and is the largest Pay-Per-View event provider in the world, broadcast in over 129 countries and territories, to nearly 800 million TV households worldwide, in 28 different languages. UFC content is also distributed commercially in the United States to bars and restaurants through Joe Hand Promotions, in English throughout Canada via Premium Sports Broadcasting Inc. and in French throughout Quebec via Interbox. In 2011, the UFC burst into the mainstream with a landmark seven-year broadcast agreement with FOX Sports Media Group. The agreement includes four live events broadcast on the FOX network annually, with additional fight cards and thousands of hours of programming broadcast on FOX properties FOX Sports 1 and FOX Sports 2. This also includes the longest-running sports reality show on television, The Ultimate Fighter®, which airs on FOX Sports 1 in the United States. The UFC also connects with tens of millions of fans through its website, UFC.com, as well as social media sites Facebook, Instagram and Twitter. 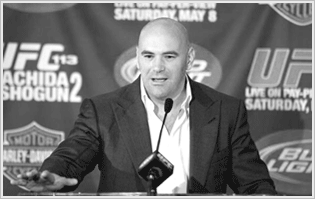 UFC President Dana White is considered one of the most accessible and followed executives in sports, with over two million followers on Twitter. The UFC organization also licenses over 100 UFC GYM® locations, and owns UFC.TV® (offering live event broadcasts and video on-demand around the world), UFC FIT® (an in-home fitness and nutrition program), UFC Magazine, and has a videogame franchise with EA SPORTS, UFC Fight Club®, UFC Fan Expo®, UFC branded apparel, DVDs and Blu-rays and Topps Trading Cards. For more information, visit UFC.com and follow UFC at Facebook.com/UFC, Twitter and Instagram: @UFC. 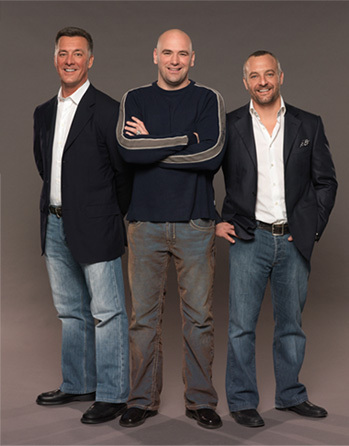 When Frank Fertitta, Dana White and Lorenzo Fertitta purchased the Ultimate Fighting Championship® (UFC®) in 2001, the trio embarked on a journey to make mixed martial arts the world’s most popular sport. Dedicated to exposing the masses to UFC’s heart-pounding action, incredible athletes and the best live event experience in all of sports, the three men resurrected mixed martial arts and gave it the opportunity for international success. Since purchasing the UFC a decade ago, the Fertitta brothers and White have made it the fastest-growing sports organization in the world. Producing over 30 live events worldwide each year, the UFC also boasts the most successful and longest-running sports reality show in history, The Ultimate Fighter®. What’s more, the trio has brought the UFC’s hallowed Octagon® to cities across the world, from Los Angeles to London to Toronto to Abu Dhabi. Today, the UFC is progressing at a rate never-before-seen in the professional sports world. UFC programming is available in over 354 million homes in more than 145 countries, in 19 different languages. 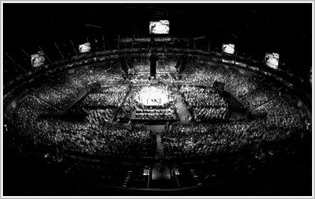 The UFC also holds the distinction as the largest live Pay-Per-View event provider in the world.